The members of the Izuki family got along very well. At their house, the morning meal was always abuzz with lively conversation. Izuki extended his chopsticks toward the large plate heaped with teriyaki squid, but a pair of fingers suddenly swooped in and snatched a piece of squid right out of his grasp. “Now, Aya. 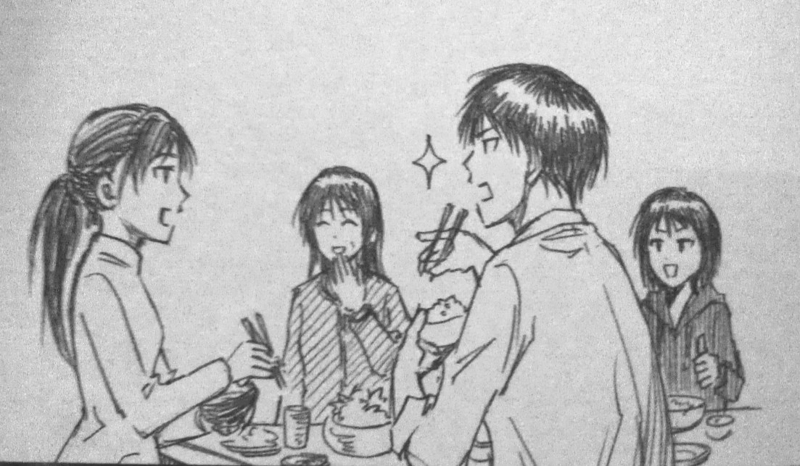 Mind your manners, please,” Izuki’s mother scolded Izuki’s older sister, a college student, who was busy munching on her piece of squid. She sat down next to Izuki and flashed them a smile. Without a moment’s delay, Izuki pulled one of his joke books out from beneath the low dining table and jotted the pun down on paper. Izuki’s older sister put her hands together in a quick blessing, then picked up her bowl of miso soup. Izuki’s mother gestured to the clock hanging on the wall. Izuki glanced over at it—then panicked and stuffed some squid into his mouth. Izuki left the house in a hurry and set off down the path to school at a brisk pace. When he rounded the street corner on his usual route, he happened to run into Hyuuga Junpei. Izuki smiled cheerfully at Hyuuga, who simply sighed and said, “Don’t make such lame jokes first thing in the morning…” Making retorts to Izuki’s puns was now practically part of his daily routine. Even so, Izuki thought to himself, But that was so funny! How could you not laugh? …oh, I know! “That was a sigh deep in de-Nile.” What a great joke! Thus, another day began with Izuki in fine form. The kanji for Izuki’s sisters’ names are 綾 (Aya; older sister) and 舞 (Mai; younger sister). Wow! How fast~ I very much appreciate it! And the puns! As expected for the Izuki family, they are amazing! I founded myself laughing through the whole thing! Though, my sister did threaten to kick me out of the house for reading them out loud to her…. and she sounded serious too (She is the Hyuuga to my Izuki). Once again, thanks for completing my request! Looking forward to all future translations! LOL omg thanks so much for doing this, so the “pun” thing really runs in the family! Thanks for your comment! 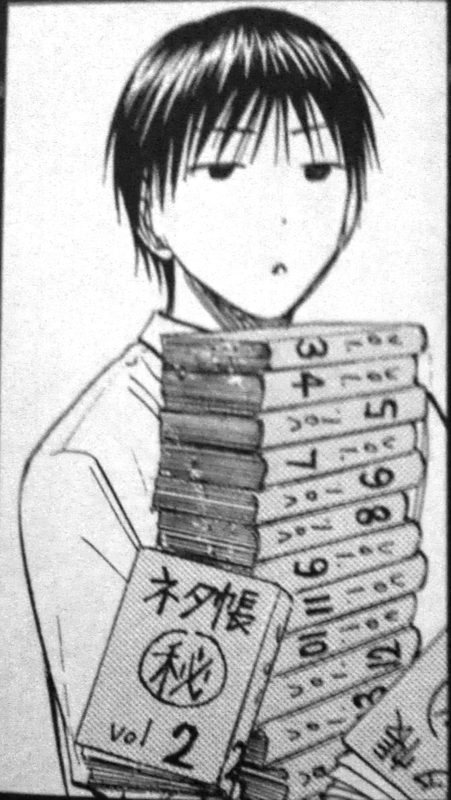 Yeah, I hope Izuki’s family makes some more appearances in the manga/novels.